* Tassel: White/Black options available. * Image shoot: Indoor Light with Flash. 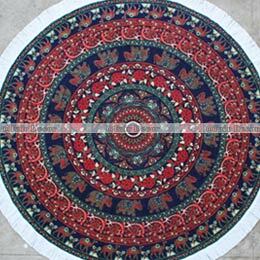 You can discover number of alternates at fairdecor including round mandala towel, beach tapestry and round beach blanket. * TASSEL: 100 % Cotton. 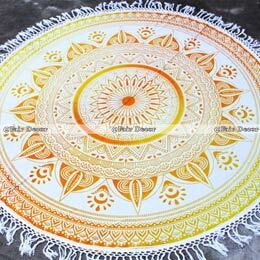 * SIZE : Diameter 180 cms. 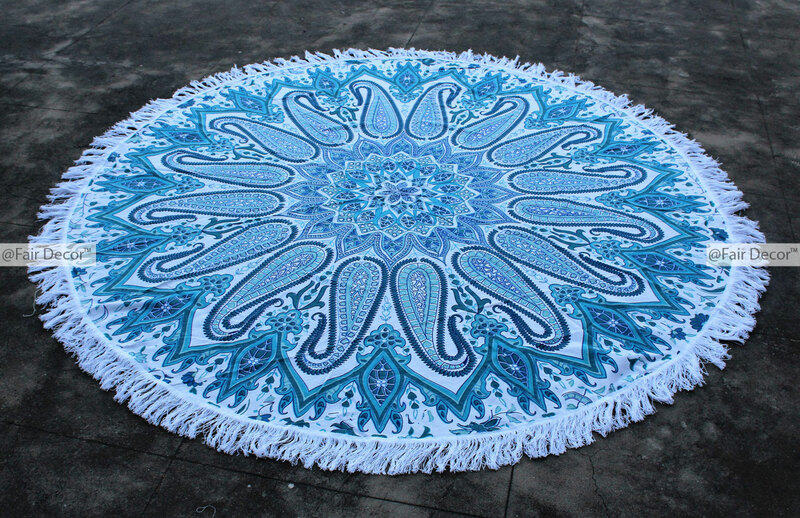 * USAGE: Beach Towel, Beach Throw, Picnic Throw, Tapestry and more. This Tassel Roundie is printed on the front side only. 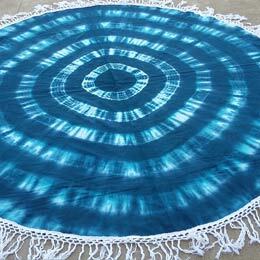 ALL QUEEN SIZE THROW CAN CONVERT INTO ROUND TASSEL. YOU CAN CHOOSE ANY QUEEN IN YOUR ORDER TO MAKE ROUND WITH TASSEL.